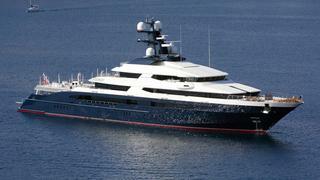 The seized superyacht Equanimity has been sold by Malaysia's government for $126m (£95.9m). The sale of the 91.5 metre superyacht was approved today (April 3) by the Admiralty Court in Kuala Lumpur to Genting Malaysia Bhd, a destination resort business, providing that the money was paid by the end of April. The superyacht was transferred to Malaysia in August after being seized by Indonesian authorities at the request of the US Department of Justice. It was taken because the government alleged that is had been bought using money stolen from the 1MDB state fund. The 1MBD state fund was created in 2009 to aid economic development but billions of dollars are reported to have been embezzled. Malaysia's ex Prime Minister Najib Razak faces trial over his alleged involvement in the financial scandal. Another key figure in the case, Low Taek Jho, is reported to have owned the vessel before it was seized. Burgess, together with lawyers representing the Malaysian government, had previously placed the Oceanco-built yacht on a "fast-track" to sell before March 31. This time line elapsed last week and the Genting offer was negotiated directly with theMalaysia government. Launched in the Netherlands in 2014, Equanimity was the first superyacht to be built to the new PYC standard. As a result, she can accommodate up to 26 guests, as well as 28 crew members. Her twin 4,828hp MTU 20V4000 M73 diesel engines propel her to a top speed of 19.5 knots. When trimmed back to her cruising speed of 16 knots, Equanimity boasts a globetrotting range, thanks to her total fuel capacity of 271,000 litres.